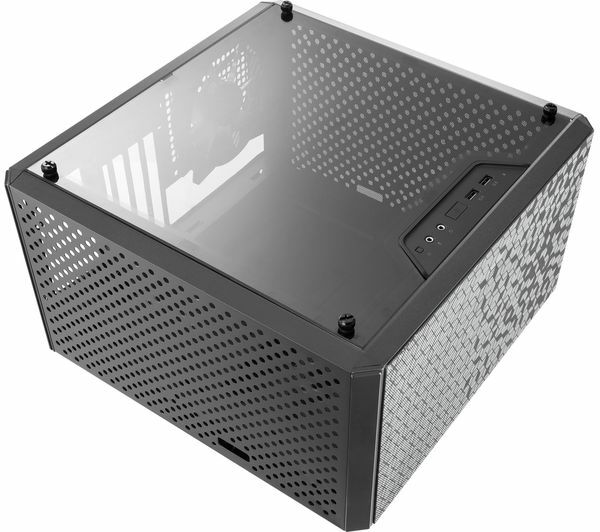 Change the layout of your build and upgrade your components as often as you like with the Coolermaster MasterBox Q300L Micro-ATX Mid-Tower PC Case. With a modular I/O panel that can be moved to six different locations within the case, you can position the case vertically or horizontally and still have easy access to all your ports. 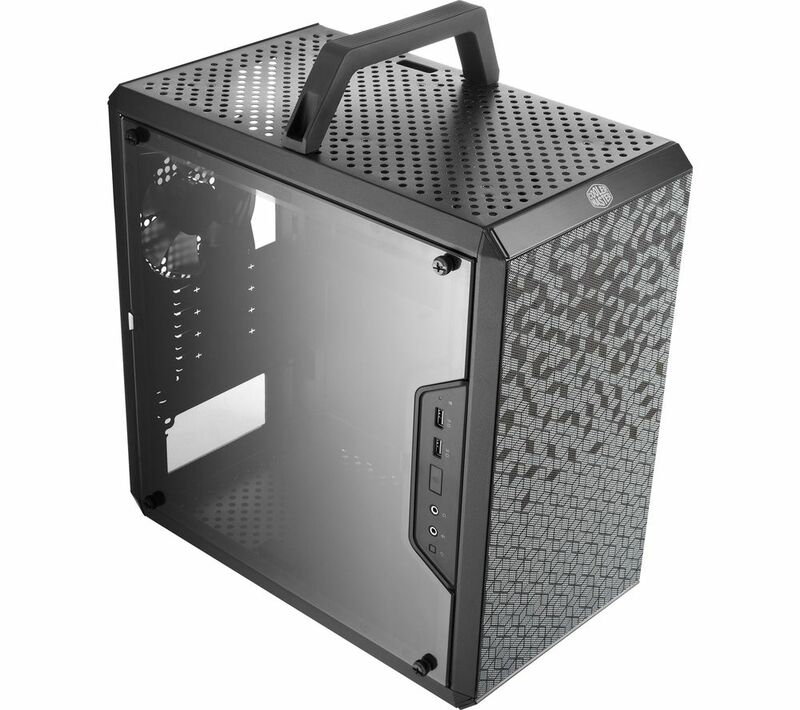 The MasterBox Q300L comes with 2 patterned dust filters which give your chassis a unique, stylish look while also preventing dust from getting caught inside your build and getting to your components. With an edge-to-edge transparent side panel, you can show everyone what's inside your PC without having to take it apart - ideal for showing off your newest upgrade. When everyone can see inside your PC, you want to make sure it's looking tidy. 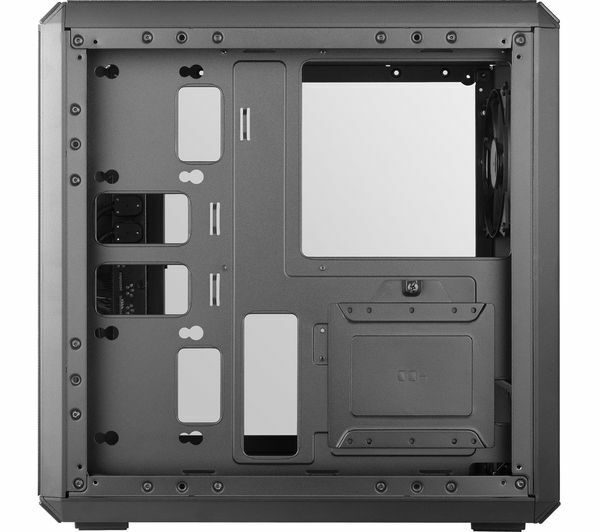 Behind the motherboard tray is 28 mm of clear space for your cable management, so you won't have messy wires ruining the look of your build. - Has perfect dimensions: It's is small but fits everything comfortably.